"I am hard at it, painting with the enthusiasm of a Marseillais eating bouillabaisse, which won't surprise you when you know that what I’m at is the painting of some sunflowers," Van Gogh wrote in a letter to his brother Theo. "So the whole thing will be a symphony in blue and yellow. I am working at it every morning from sunrise on, for the flowers fade so quickly." Two versions of Van Gogh's iconic "Sunflowers" will be shown side by side at the National Gallery next year, reuniting the iconic oil paintings for the first time in 65 years. The revelatory installation will allow viewers to compare and contrast the masterpieces in the flesh and more fully understand Van Gogh's compulsion with the warm-hued flora. 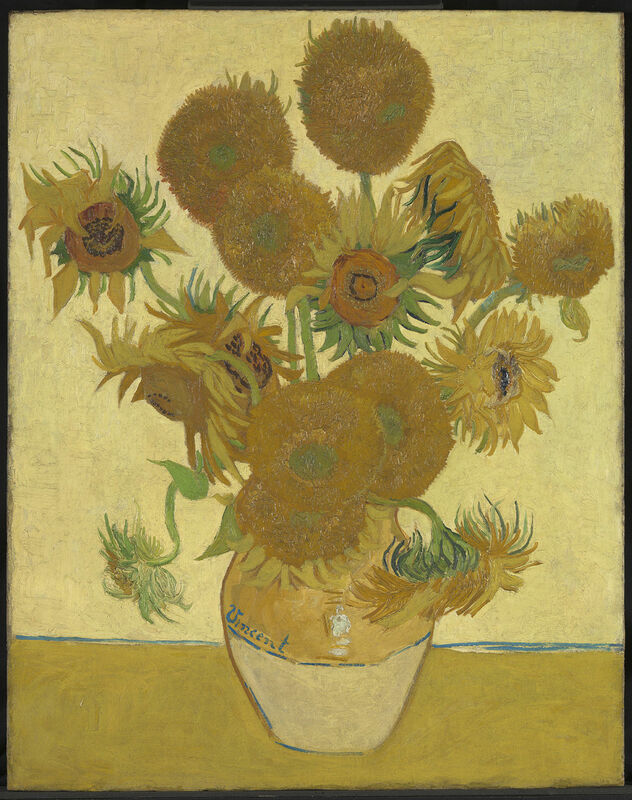 The two paintings, made in 1888 and 1889, are only two of Van Gogh's five Sunflower depictions. The famously temperamental artist toiled over the happy flowers in all their various stages, from blossoming to withering. Yellow, for Van Gogh, was symbolic of warmth and friendship, yet throughout the five pieces the color vacillates from soothing to sickly, showing the artist's penchant for letting colors speak. "This exhibition is designed to help those for whom the paintings by Van Gogh are compelling images to understand how they were made –- and made again –- and out of what materials," said National Gallery Director Dr. Nicholas Penny. "It will deepen every visitor’s appreciation of the artist." 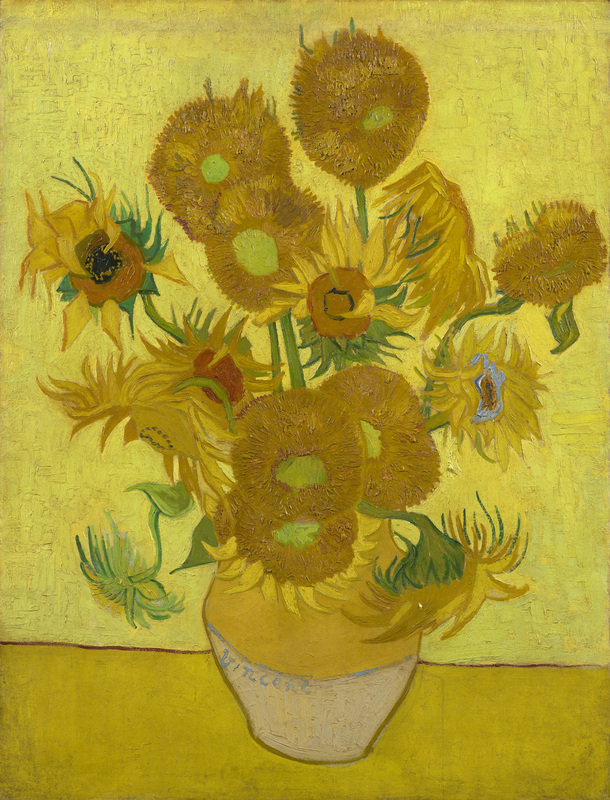 The sibling sunflowers will be on view from January 25, 2014 until April 27, 2014 at the National Gallery, London. The display will also include scientific research conducted on the two works, illuminating the materials and technique involved in the works' construction.